« New Ray’s Road Review! Hi All! Well, Christmas is over and I’m sad. We’ve had a great holiday season. I got the Christmas spirit early this year. I sent out all of our Christmas cards by the end of November. And we got quite a few ourselves, but not as many as in years past, so I’m guessing we’re either no longer popular or people aren’t sending them out like they used to. LOL! I’ve heard some relatives aren’t sending them out anymore, so I understand. 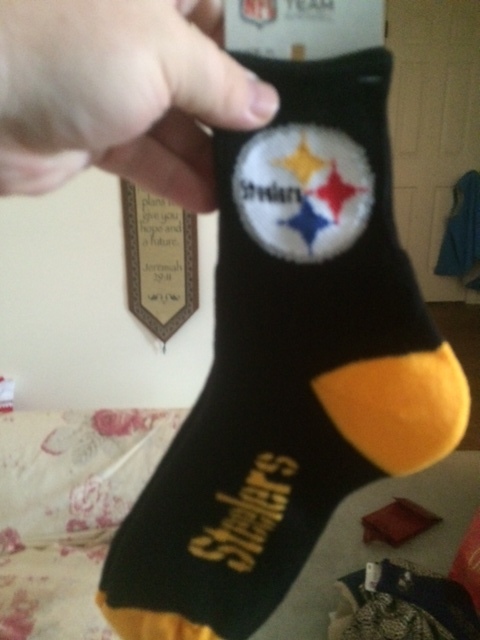 I started buying Christmas gifts in October and I got some good ones for my wife. I’ve been so excited that I could barely contain myself. I just wanted to give them to her early. We’ve been listening to Christmas music every morning while sitting in the glow of the lights from our Christmas tree which we put up after Thanksgiving. It’s a lovely tree, but we’ve had to put a big and tall fence/cat guard up around it to keep Henry and Ace away from it. Oh well. At least the tree and its ornaments have been saved. So, I’ve been playing traditional Christmas music, not contemporary pop Christmas music. I don’t like that. It’s been great to sit there drinking coffee and just enjoying the sounds. We went to our church a few weeks ago for a dinner and a program. Afterwards, we went to the sanctuary with Chrismon ornaments to hang on the big tree. It was nice. So yesterday was the big day. We’re having Mom come down from Knoxville to be with us, but today, not yesterday. We just wanted to exchange presents and be together by ourselves. We got up early and had our coffee. Then we opened our stockings. We got some pretty great stuff. One of my annual favorites is getting chocolate covered cherries. I just love those and Gretchen came through for me in a big way. After we opened our stockings, we had breakfast. Gretchen fixed us scrambled eggs, toast, bacon, and a pastry. Now you have to understand — I don’t eat eggs. I HATE eggs! I haven’t touched them since I was a teenager. But I was in a good mood, so I volunteered and I did it. I took six bites before giving up, but Gretchen was proud of me for going that far and I am too. It would take a lot for me to develop a liking for them, but at least I tried. After we ate breakfast, we got ready for the day. I put on my Pittsburgh Penguins sweatshirt and cap. Gretchen dressed comfortably. Then we returned to the living room for gift giving! I have an unfair advantage when it comes to getting gifts. Gretchen’s parents always get me things, which is darn nice of them, and my awesome friend Marcy gets me gifts, as do I for her. So I usually open those first. 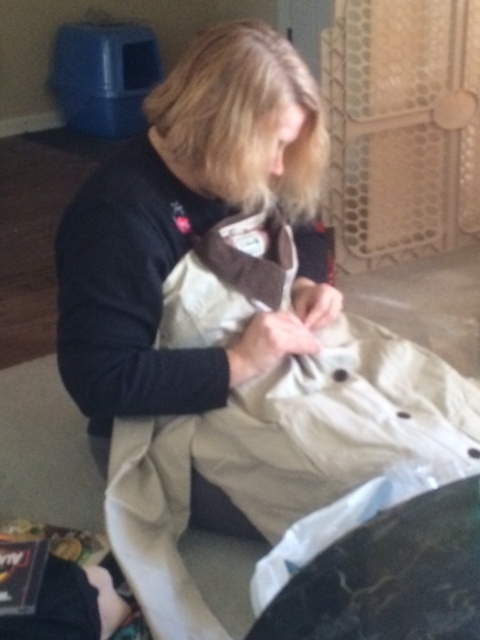 However, first of all Gretchen opened her first gift from me. It was a Weird Al CD. Heh. I got her three. She’s a huge fan. She was very excited. Meanwhile, her parents got me a great book on Steve Jobs and some great clothes, so that was very nice of them. Marcy got me a DVD and some books, including one on Queen and another on the inventors of the digital revolution, which ironically Gretchen got for me too, so one will have to be exchanged. Still, darn nice of Marcy. During this time, Gretchen was opening presents from her parents to her, which included a cool purse, some jewelry, and some clothes. They always get her nice things. Among the things I got her were some sweaters, a coat, several Hitchcock DVDs (she’s a huge fan), and a computer game. Gretchen got me some t-shirts and socks, which I need, and a couple of books I’ve really been wanting. Sweet. 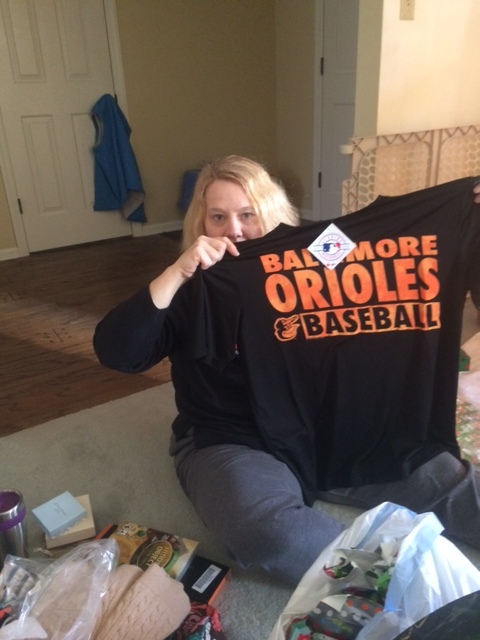 I got her a Ravens travel mug and an Orioles t-shirt. Sweet. Then it was time for the big stuff. 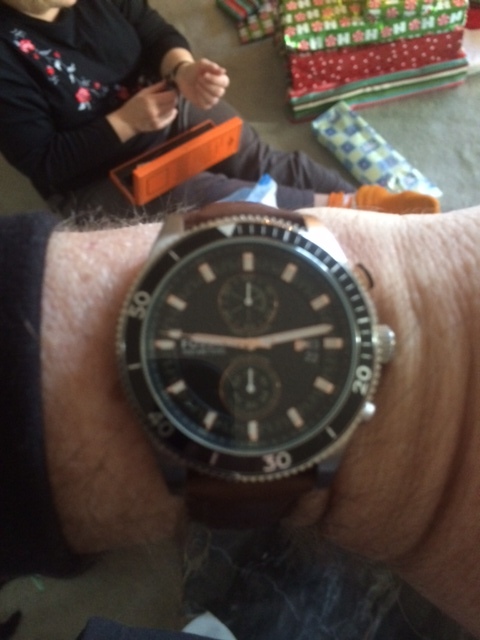 She gave me a beautiful Fossil watch which I had actually picked out, and I gave her a nice watch as well, so it was a good trade. 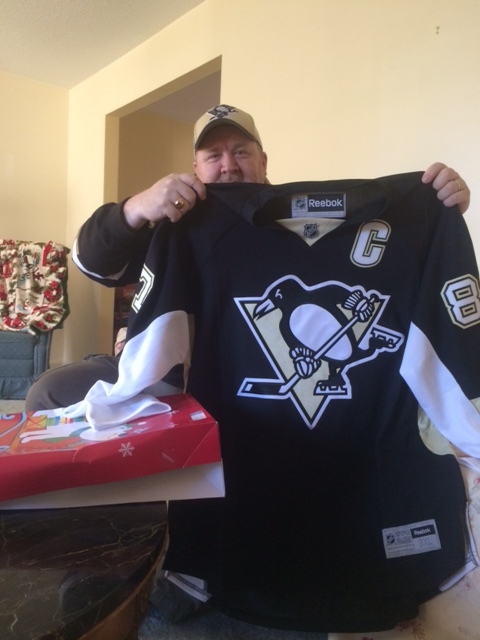 Then I opened a box and inside was an authentic Sidney Crosby jersey. I was very excited. I’ve been wanting Penguins jerseys. She opened a box and found some very cool cowboy boots, which she had been wanting. Unfortunately, they were a little too small for her, so we’ll have to exchange them for a larger size. I’m going to UPS this morning to send them back. I then opened my last box and was shocked. 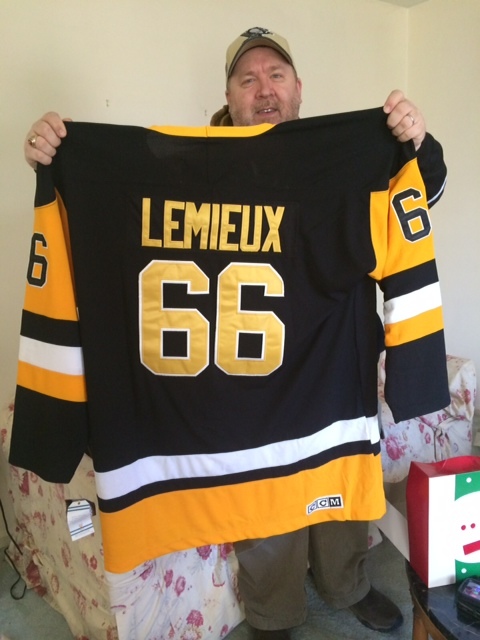 Inside was an authentic Mario Lemieux jersey! I had been wanting one for years. I’ve never been able to find many, and none in my size. Now here’s the story. She told me weeks ago that she had found one overseas and ordered it. But it never arrived. And she couldn’t get the company to respond to her calls or emails. She had been charged, but got nothing. So she was disappointed and got the Crosby jersey. In the meantime, it did arrive! Late, but it got here. So she gave me both. That was very sweet of her and I was very excited. Meanwhile, she had two last boxes to open. One held a digital camera with a case. She had been wanting one for a long time, so this was a good gift. The last one was the one I’ve been most excited about. Inside the box were three envelopes, to be opened in order. The first one held tickets to a Chicago concert. The next one held tickets to a concert by The Who. 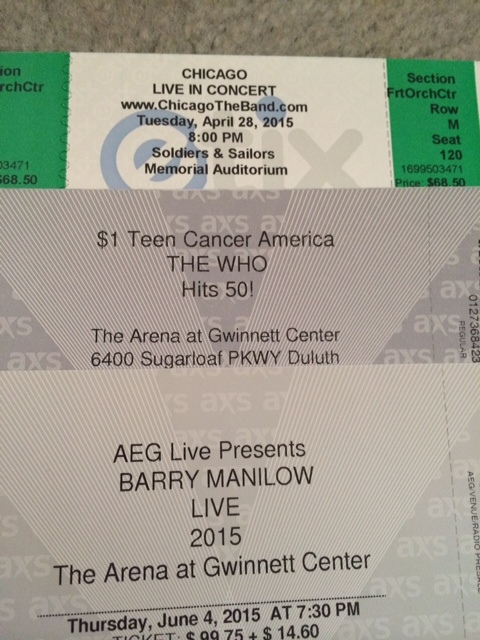 The final one held tickets to a Barry Manilow concert. He’s one of her all time favorites, so I knew she’d be excited. And she was. For all three. She’s always wanted to see all of them and now she’ll get to, so it’s pretty awesome. Joan Jett is going to open for The Who. All of these tickets are for next spring and summer, so she’ll have to wait awhile before she can go, but it’s still very exciting and I was just thrilled to be able to give them to her. Well, gift giving was over and there was carnage. The cats were getting into everything, of course, but that was okay. We cleaned up a bit and then got ready for lunch. After lunch, I took a nap because I had been up since 2 AM. I have severe insomnia and have been up since 1 AM this morning. During my nap, Gretchen went downtown and went for a brisk walk. Later, during the afternoon, we read and relaxed and then had some meatloaf for dinner. That may not sound exciting, but my wife makes the best meatloaf in the world and I love it, so it was pretty awesome. We read some more, played with the cats, watched a little TV and went to bed. It was a damn good Christmas! 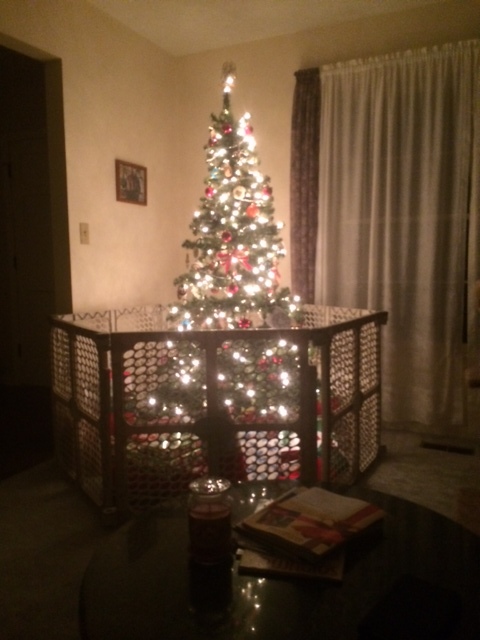 2014 Christmas tree complete with cat guard fence. 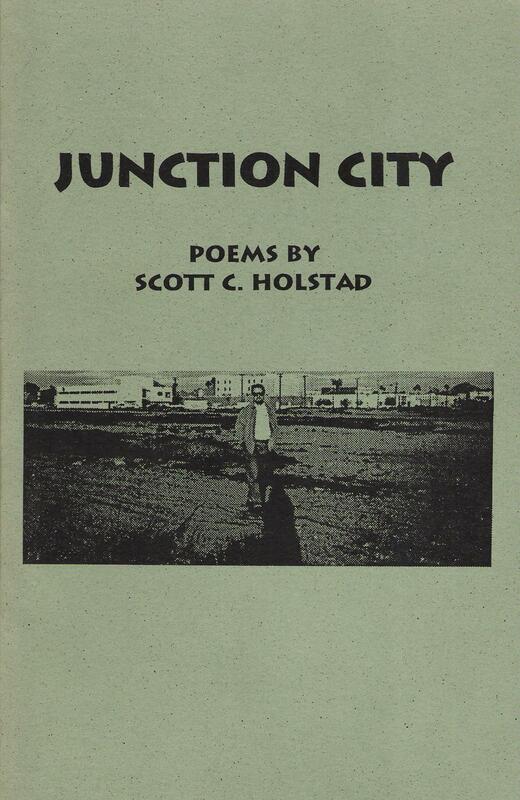 This entry was posted on December 26, 2014 at 4:17 am	and is filed under Uncategorized. Tagged: Christmas, clothes, concerts, holidays, Pittsburgh Penguins, presents. You can follow any responses to this entry through the RSS 2.0 feed. You can leave a response, or trackback from your own site.